Yet another condo next to the park may not necessarily be a good thing, though obviously, the stabbing is far worse. Here is the news as related by cbc-nystb. We hope that the perpetrator is caught and faces justice. The second newsworthy story is a condo replacing the Shriners Club (ut-condo). Directly across from Downsview Park's central lake, and three blocks south of Sheppard Avenue, an SMV Architects-designed residential project will replace the Shriners Club—and former synagogue—at 3100 Keele Street. 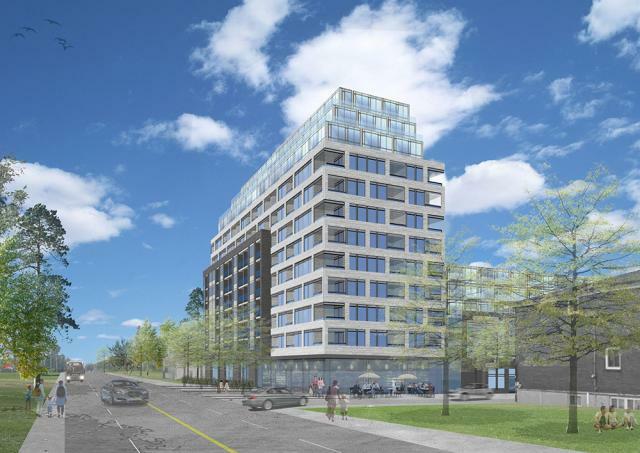 On Keele, the two-acre site will be fronted by a 12-storey condominium building, which steps down from Keele with 10 and 6-storey wings to the west. Stretching west, the two shorter wings surround a central green space, with a collection of 2-bedroom + den townhome units fronting the condominium. The 325-unit development features a unit mix of one and two-bedroom suites. In total, the plans call for 171 one-bedroom and 154-two bedroom residences. At the corner of Keele and Maryport (below), a retail space may now be planned, though the Site Plan application submitted to the City designates the space for live-work units. Developed by Decade Group Inc., the project was ratified at the Ontario Municipal Board (OMB) earlier this year. Initially proposed to the City as a 422-unit project with a height peak of 19-storeys, the developer appealed the project to the OMB after the City failed to make a decision with the statutory 120 day period. Following continued negotiations with the City, a settlement was reach for a scaled down proposal, which was then presented to the OMB, allowing for a relatively straightforward approval. The plans also call for a total of 383 underground parking spots, making for a high ratio of vehicle spaces to units, reflecting what remains a car-oriented area. With vehicle access from Maryport Avenue, the garage will be entered from a small forecourt just off the landscaped green space. As part of the project, a 45-foot mosaic that once fronted the site's single-storey building—which was home to the Beth David B’nai Israel Beth Am Temple before being taken over by a Shriners organization—will be given over to the synagogue's new space in North York. We will keep you updated as news become available. In the meantime, make sure to check out our associated dataBase file, linked below. Want to share your thoughts? 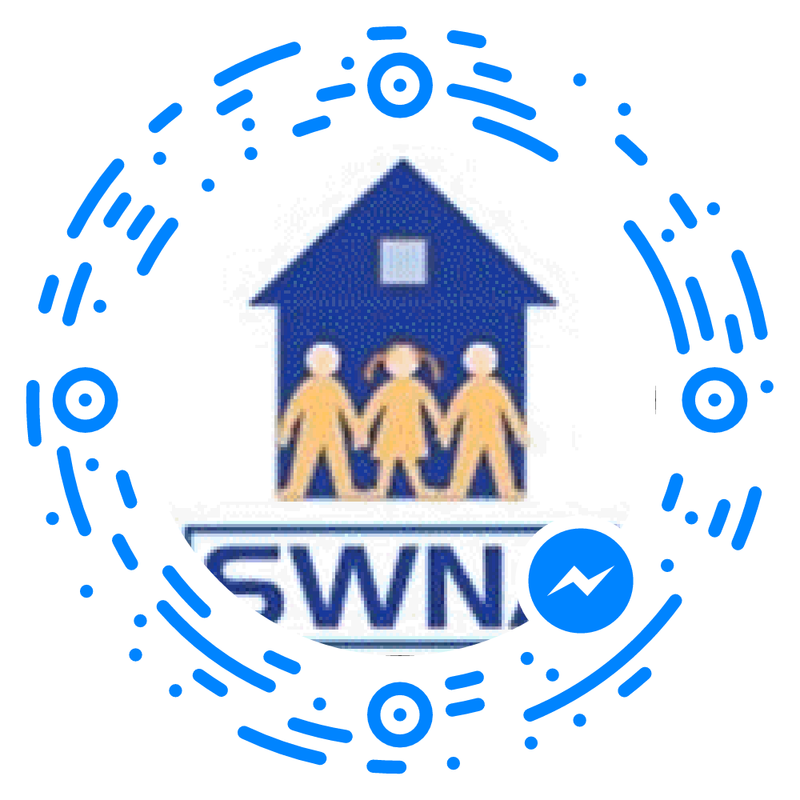 Leave a comment on this page, or join the ongoing conversation in our Forum. It looks more and more as if the urban park that never truly happened will be drowned in a sea of condos.